The USA is a GladysKravitzOcracy. It's ridiculous and pathetic. Yet, it can still cause problems for you and me when the nosiness gets into our private lives. Innocent actions will be interpreted to be scandalous. 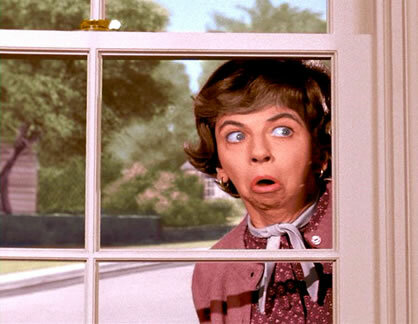 And, even actions which are not completely innocent are still NOT the nosy neighbor's business in most cases. I am thankful to people like Edward Snowden- including those like him who haven't yet been discovered- for exposing the rude and dangerous nosiness of the bad neighbor.